Da Ji is one of the playable Gods in SMITE. With free reign of the empire and its people, Da Ji reveled in torture and malice. She took delight in their screams of pain and she danced to playful music composed at her command, the musicians trembling for every note. Deals a total of 14 (+14% of your physical power) damage. Deals a total damage of 60/120/180/240/300 (+80% of your physical power) damage. Da Ji lashes out with her claws at nearby enemies, executing 4 strikes that damage all enemies in range and apply the Bleed from Torture Blades. While this ability is channeling Da Ji moves freely in all directions, gains 40% increased Movement Speed, immunity to Slows and Knockups, and her tails mitigate Damage dealt to her by Enemy Gods who are behind her. Has a duration of 2s. Can deal up to 60/160/260/360/460 (+120% of your physical power) damage. Can be used through walls. The Paolao lasts for 9s, and Da Ji has 5s to shoot all 3 chains. The chains have a travel time of .3s. Can deal up to 390/490/590/690/790 (+240% of your physical power) damage. Right-clicking will end the ability early. As Da Ji, kill an enemy with your Trickster Spirit Ability. As Da Ji, pull 2 or more enemies into your Paolao with a single use of your Paolao Ability. Da Ji was Nu Wa's servent before betraying her. This is the only Tier 2 skin that is not the same god in armor. This skin is based on the 50's. This skin shares its theme with Rock-A-Bellona Bellona. This skin theme and looks are very similar to the character Sombra from the game Overwatch. In this skin her Paolao has a electronic billboard of Electric Dream Nox. This skin is based on a Succubus. 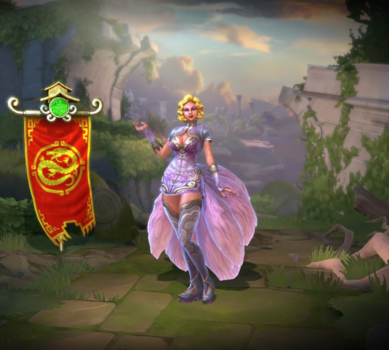 Curiously this skin looks a lot like Skye, from the game Paladins. This skin shares it's theme with Demonsoul/Ebonsoul Serqet. This skin is one of the few skins in the game to use cell shading. The Actress who did the voice for this skin, Cristina Valenzuela, Also voiced Amaterasu, Discordia and Sea Maiden Medusa. This skin comes with custom character animations. This skin could only be obtained by accumulating 21000 Odyssey points in the Odyssey 2018 event. This skin can only be obtained by purchasing the Senpai Bundle from the Legend of the Foxes event. Increased Cooldown from 7s to 9s. Decreased Physical Power Scaling from 100% to 85%. Made adjustments to the targeter so it is more visible while on the Pao Lao. Decreased Physical Power Scaling from 20% to 14% (10% to 7% per tick). Decreased Physical Power scaling on Burst Damage from 45% to 35%. Base Health Increased from 425 to 440. Base Health Per Level Increased from 74 to 76. Da Ji's Basic Attack chain and animations have been updated. Basic Attack Hit Chain is now 1/1/1 timing and damage. Each hit has a unique animation. Da Ji now benefits from Haste (does not suffer Basic Attack movement penalty) while Horrible Burns is active. Decreased chain travel time from .5 to .3 seconds. Landing targeter should now immediately appear upon manually cancelling this Ability early. After firing all three chains, Daji will begin shifting to dismount the Pao Lao rather than waiting for her Ability to time out. Updated the description to state the increased Movement Speed. Increased Base Damage per rank from 15/35/55/75/95 → 15/40/65/90/115 (60/140/220/300/380 to 60/160/260/360/460 Total). Increased Physical Power scaling per hit from 20% → 30% (80% to 120% Total). Now Knock-Up immune while channeling. Reduced post-fire time from .2 → 0. Paolao can now be canceled early. Right clicking or canceling will bring up the jump targeter, allowing Da Ji to jump from the Paolao early. Increased duration of shooting time from 3s → 5s. Increased Paolao deployable duration from 7s → 9s. Made the chains easier to see. 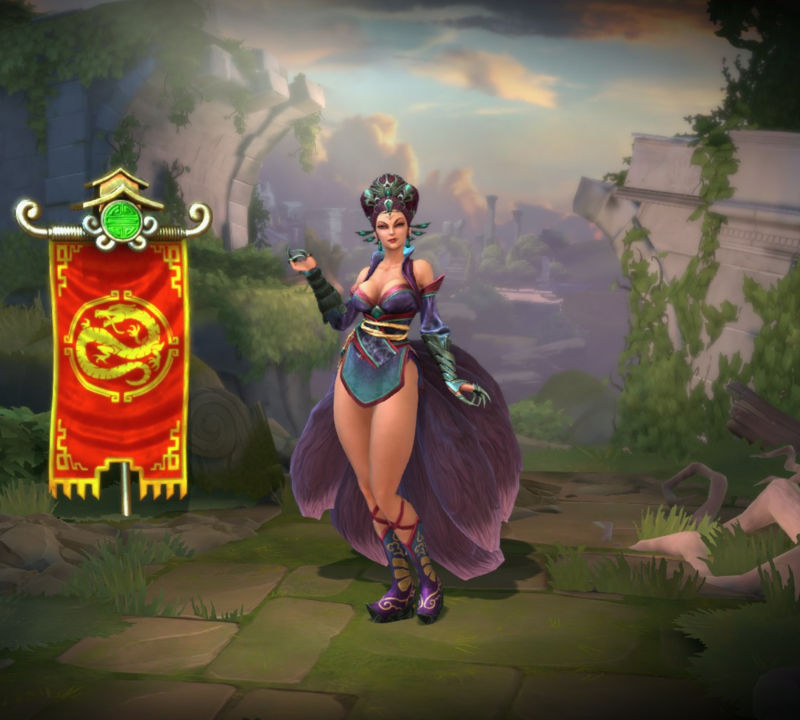 Da Ji has been added to the game. This page was last edited on 5 March 2019, at 22:59.